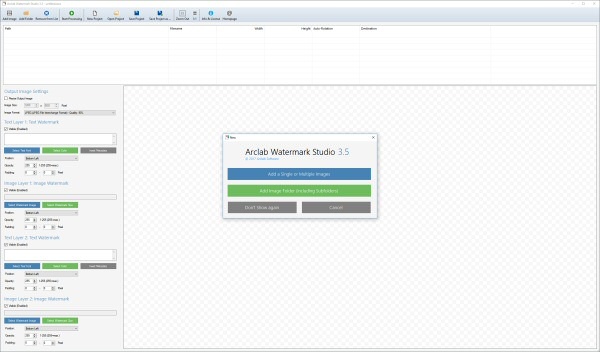 Arclab Watermark Studio is an easy to use image watermarking software to add visible, multi-layered watermarks to photos and directory structures in a batch. It allows you to protect your photos from unauthorized distribution using multiple text- and image watermarks. 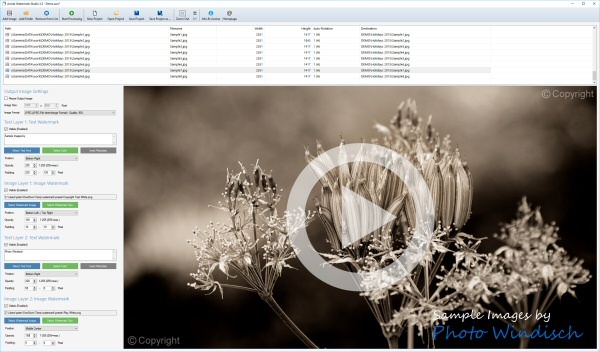 The watermarking software can also can be used to create thumbnails, resize and convert images. There is only one click required to process a whole directory of images and photos. Having a large number of images, which should be watermarked, resized or converted? 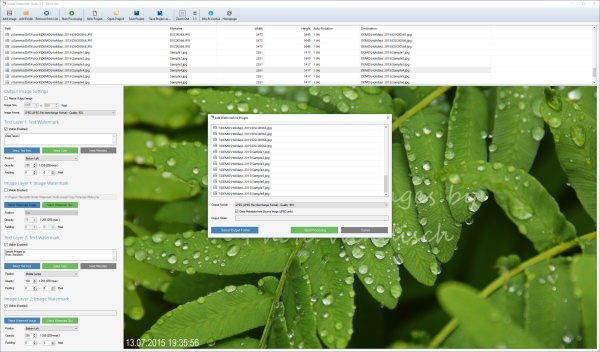 No Problem - you can process whole directory structures by a single click with our watermarking software. 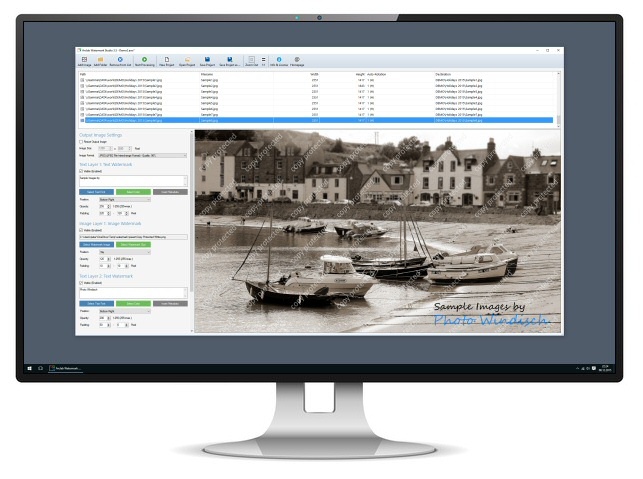 Add a watermark, change the image resolution, convert the image format with ease. The image conversion software support jpeg, png, gif, tiff, and bmp images and can convert the images into the image formats jpeg, png, tiff and bmp.